Comcast Business today announced that Continuum Data Centers (CDC), a multi-tenant data center operator in Chicago’s western suburbs, is offering Comcast Business Ethernet services as a connectivity option to its customers. With 1 Gigabit per second (Gbps) of fiber-based Ethernet, CDC’s customers benefit from secure, scalable, high-performance connectivity with the benefit of Comcast’s vast fiber network to reach their business locations. 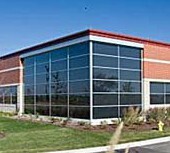 Located in West Chicago, Ill., CDC’s flagship facility, CDC 603 is an 80,000-square-foot, Tier III data center offering high density power, diverse network connectivity and flexible colocation space options ranging from 1,000-square-foot private-data-center suites down to a single server. The company works with more than 300 enterprises and Fortune 1000 firms. Being less than five miles away from the Chicago Mercantile Exchange’s data center and trading platform in Aurora, Ill., these firms include financial services and trading firms. With the number of man-made and natural disasters that have occurred over the past years, risk aversion and disaster recovery are key growth drivers for CDC. Increasingly, customers are looking to back-up their data in risk-averse geographies and in multi-tenant facilities engineered with critical system redundancy, expansion power and ample bandwidth. With the growth in networks, customers no longer need to choose between connectivity and risk aversion, and CDC 603 exemplifies this phenomenon. The reliability and scalability of Comcast’s Ethernet services ensure that CDC’s customers’ have the optimal connectivity for their business continuity strategies.